Rock cut vestige at Bhranthan Kallu east of Tiruvegapura in Palakad district. Exactly like the Buddhist vestiges identified at Kattilapara in Kulatupuzha. The ancient rock temple east of Tiruvegapura is in Palakad district of Kerala on the southern bank of river Thutha. It is a huge granite boulder around 40m high and three acres in expansion. 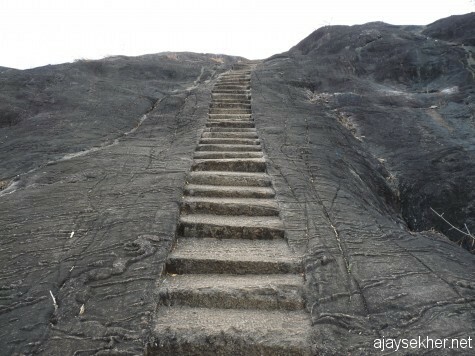 There is a flight of steps that lead you to the top exactly like the ones in Karkala or Sravanbelgola but much recent having Malayalam scripts engraved on it. 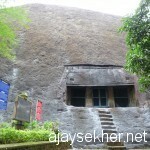 On the eastern side there is a Chaitya carved into the rock. It has three openings and two cut pillars. The left opening is incomplete. The vestige shows marks and techniques of stone cutting used in early common era by Amana monks or their local patrons that is found throughout the peninsular India. 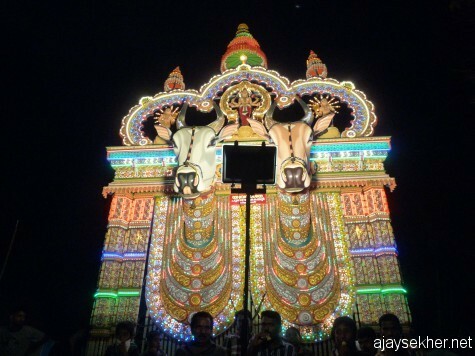 Ox mascots in Ara Kavu near Tiruvegapura. 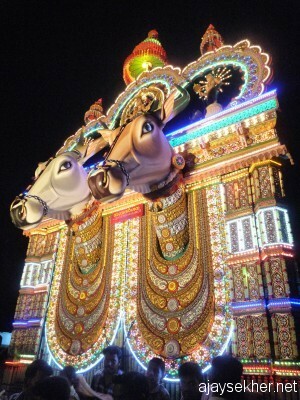 Kala Vela or Pooram and Kettukazhcha originated in the pre-Brahmanical era in central north Kerala in relation with Buddhist harvest festivals. 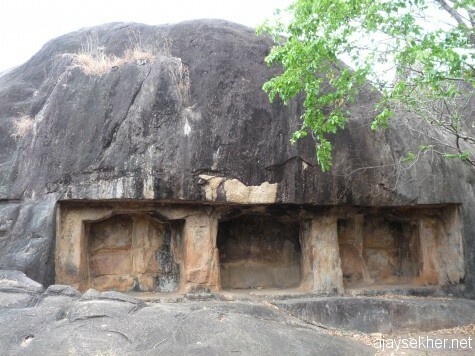 The vestige looks exactly like the ones at Kallupacha and Kattilapara in Kulatupuzha forests identified as Buddhist vestiges by archeological experts like Dr Rajendran. 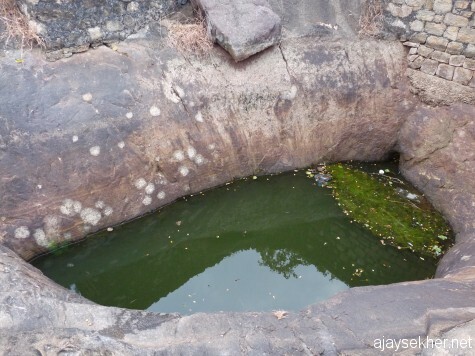 The foot mark on top of the rock also substantiates the Amana connection as in Kaviyur or Tirunandikara rock cut vestiges. The Jains and Buddhists worshiped the foot imprints of their gurus the practice that eventually gave birth to place names like Kaladi. 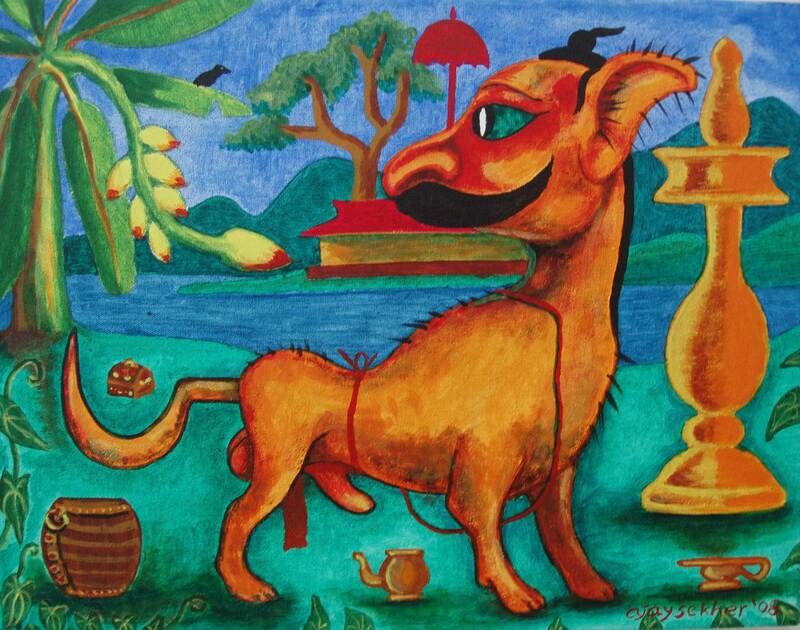 There are Kaladis in Trivandrum, Ernakulam and Malapuram districts of Kerala. It could be inferred that before the 8th century AD they were pivotal shrines or Chaityas related to Buddhism and Jainism in Kerala. The flight of steps leading to the top of Bhranthan (madman) rock from southern side. Looks like the steps at Karkala or Sravanabelgola in south Karnataka but a lot recent with Malayalam scripts on it. Bhranthan Kallu, 15 feb 2013. Rock cut vestige at Kallupacha in Kulatupuzha estate identified as a Buddhist vestige by Dr Rajendran. 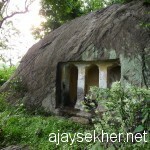 Now this ancient rock-cut vestige is known as Bhranthan Kallu among local people. 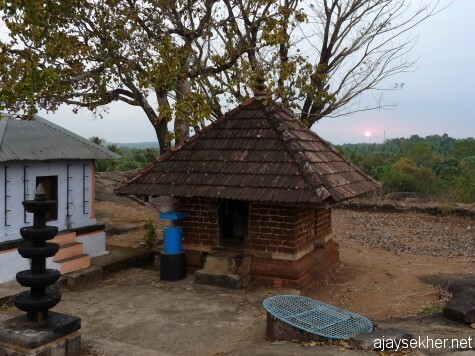 The word Kallu or stone is an important Jain marker as in Kallil near Perumbavur. It is now being connected to Naranathu Bhranthan of Panthirukulam and is called Bhranthachala Kshetram in elite parlance. It stands 500 m north of the Pattambi-Valanchery road just east of Tiruvegapura. Chinavati Kavu (Jina connection?) and Arakavu are just south of this rock temple. The word Ara is a semantic relic of Pally Ara the ancient Amana shrines including Stupas, Chaityas and Pagodas. This ancient Tamil word can also be related to the word Aram or Dhamma itself. As the abode of Aram it became Ara. The ancient Buddhist ritual relics of Kalakettu or Kettukazhcha are still performed as Kala Vela and Pooram in these ancient shrines, now in a Hinduized fashion. Current shrines of Siva, Muruga etc. on top of Bhranthan Kallu. The Kanjiram tree said to have chained the madman is in the back. 15 Feb 2013. 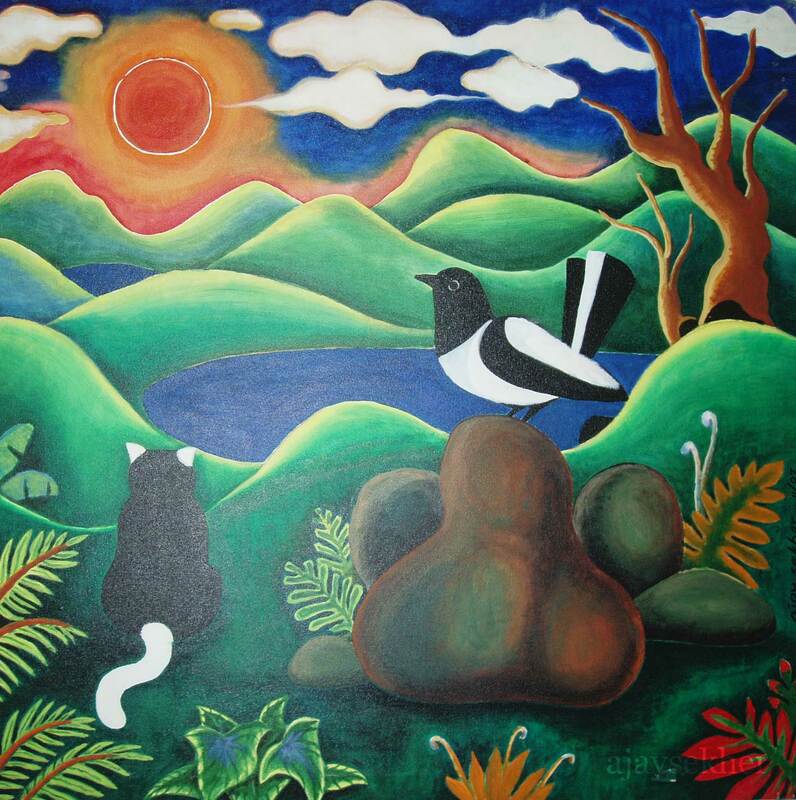 Local people believe that it was made by some super natural forces who abandoned it as the goddess residing on the eastern hillock made an early morning call in the voice of a rooster. Similar stories of abandoning construction at day break by ghosts or demons are plenty all over Kerala. In Ernakulam district people believe that Bhutathan Kettu dam was built by demons in a single night. Local people near the Tirunathapuram temple that is in ruin now near Aluva also believe that it was made by the demons overnight. Water pools on top of Bhranthan Kallu near Tiruvegapura, 15 feb 2013. The people still call it the temple of Bhutathans or the temple of demons relating it to the demonization discourse used against the Buddhists originally by Brahmanism. Moreover place names nearby like Marampally and Payyapally (now being changed to Pilly) confirm the Amana past of the place by the Periyar. The Bhutas or Buddhas or demons disappeared at sunrise abandoning their stones amidst nearby fields say local people. 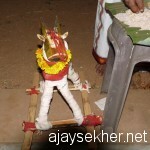 Kala or Ox mascot in Are Kavu near Tiruvegapura. Oxen are images of agricultural prosperity and fertility. 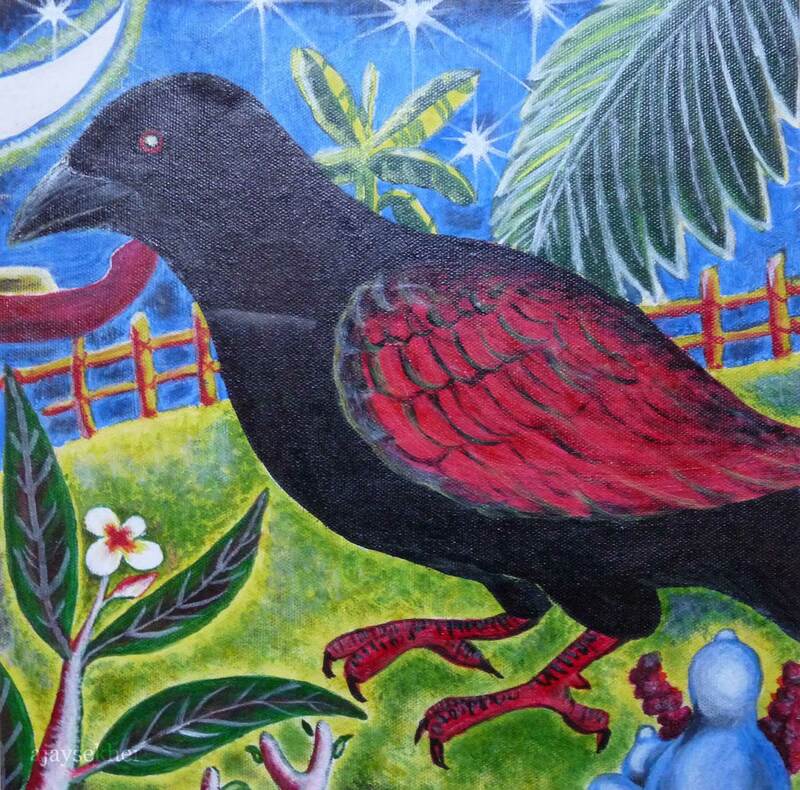 They originated in the Buddhist harvest festivals. The Ketukazcha in Kerala has remarkable semblance to the Buddhist chariot festivals narrated by Chinese Buddhist travelers who visited Patna and north India in the 5th to 8th centuries. 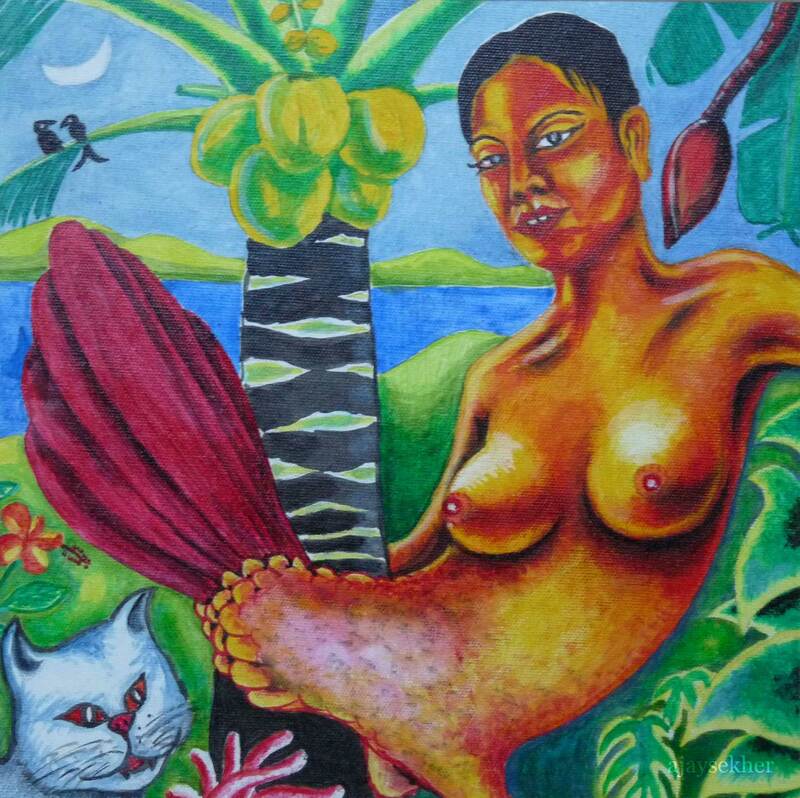 It is an allegorical narration of the banishment of the Amanas from the region. 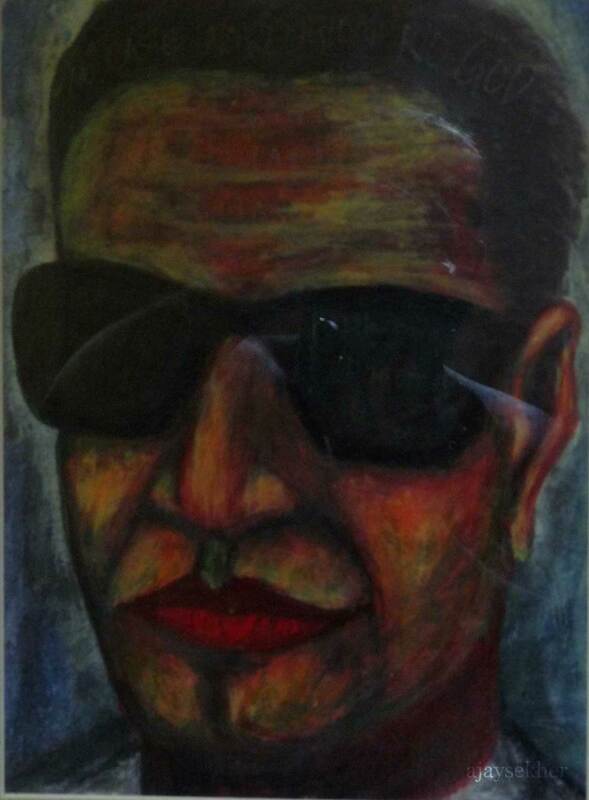 The rise of the sun centered cosmology of Brahmanism and the fall by material and symbolic violence of the moon centered cosmology of Buddhism in Kerala are articulated obliquely by this folk tale existing in orature and the collective unconscious of people especially the former untouchables in the Hindu fold now called the Avarna. The point of the foot mark towards the east right above the Chaitya vestige on top. Now modified into an alter where foot dummies are offered in wood. 15 Feb 2013. All these places and structures are related to the demonized Amana monks who did extensive work in no time through their dedication and selfless service and the use of simple but humane technology. Place names Tirunathapuram near Tiruairanikulam and Aluva; and Tiruvegapura near Valanchery also echo Chamana antiquity and early Buddhist sacred towns or Pura/Puram as in Anuradhapura in Sri Lanka. 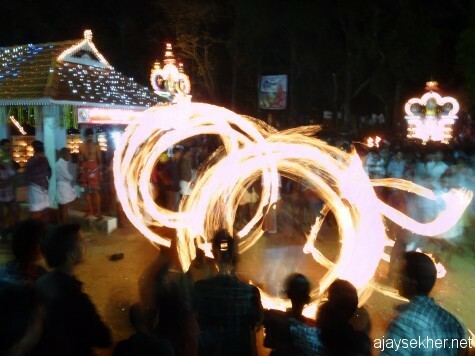 Fire dance in Are Kavu another ancient shrine of Amana antiquity near Tiruvegapura. 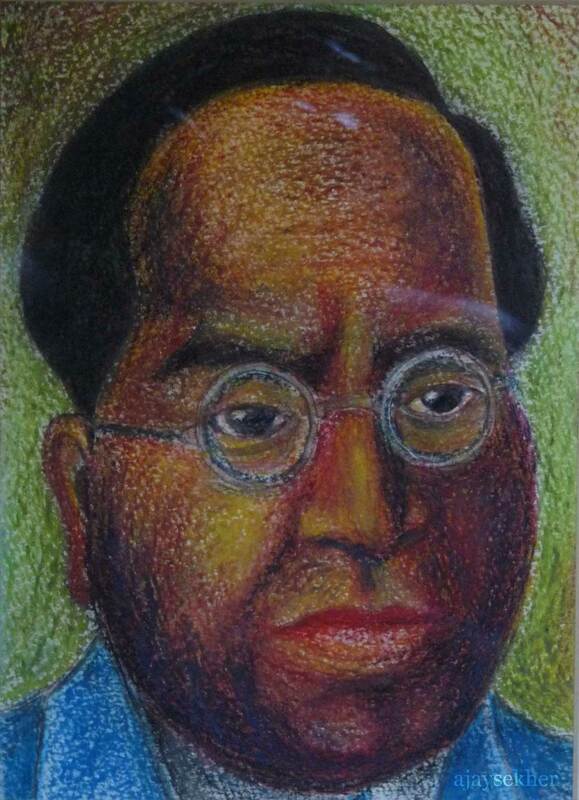 Tiru is the common affix that signifies the pre-Sanskritic or Hindu civilization and sacred Viharas or Pallys. After 10th century the Sanskrit affix Sri came in place of the Tiru along with place names like Sri Kantapuram or Sri Kakulam etc. The Tiru prefix testifies the pre-Hindu or pre-Vedic or pre-Brahmanic cultural existence and antiquity of the place. 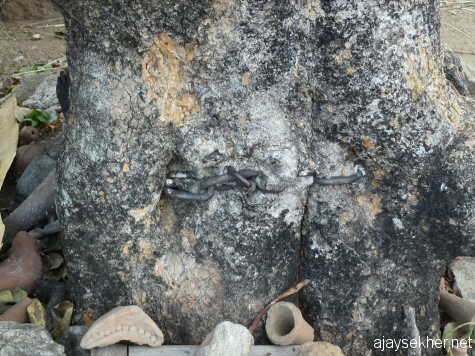 The iron chain believed to be of Naranathu Bhranthan merged into the Kanjiram tree on top of the Bhranthan Kallu. Foot replicas in clay and wood are offered here as well. It looks a lot recent, only a few centuries old, probably used to transform the foot marks and the legends by hegemonic forces for the Hinduization of the shrine. Bhranthan could be just another term like Bhutathan used for demonizing the Buddhists and Jains as in Bhutathan Kettu or Bhutathan Ambalam in Ernakulam district. Bhranthan could be a term of abuse like Nastika, Sunya and Hina used specifically against the Amana who contested god and the other worldly. In Sanskritized parlance it is called Bhranthachalam temple, which is a clear Sanskrit rendition of Bhranthan Kallu after the middle ages. 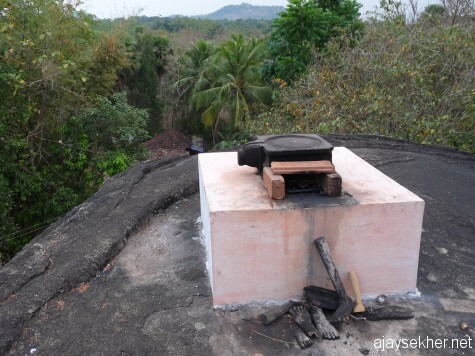 But the near by households have the term Kunnathu Kavu (shrine on the hillock) in their house names which could be the old name of the rock shrine complex. For example the Savarna household just east of the rock is called Kunnathu Kavil Padikal (at the gate way of the hill shrine). It is not surprising that the family owns the land on which the rock is founded. There are a few recent pagoda shrines of Siva, Muruga etc on top now. Plenty of water resources and a Kanjiram tree are on the top of the rock. Local residents told me that there was a foot mark on the top of the rock now being obscured by concrete constructions. The cutting style of the Chaitya facade and the vestige design and foot mark on top distinguish that it is an ancient Amana shrine. 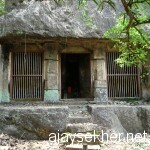 It has close similarity to rock temples at Kaviyur, Tirunandikara and Kattilapara inside Kulathupuzha forest. All of them were ancient Chaityas or Basatis. This vital treasure proving the 2000 and more years of cultural history of the Thutha river region must be protected by ASI or the state department of Archeology for posterity. The long evasion and silence of the official bodies and the gradual attempt to Hinduize the rock again verify the Chamana connection. The Government and local bodies must take immediate steps towards the protection of this ancient heritage site in Valluvanad and the conservation of its surrounding ecology by the river Thutha that is shrinking day by day. This entry was posted in Culture and Ecology and tagged ancient rock cut vestiges in Kerala, Bhranthachala temple, Bhranthan Kallu, Buddhist vestiges in Kulathupuzha forest, Jain and Buddhist shrines in Valluvanad, Kallil rock temple, Kallil temple, Kattilapara and Kallupacha, Kaviyur rock temple, Kulathupuzha, Kulathupuzha and Achankovil, monument requiring ASI protection in Valluvanad, Naranathu Bhranthan, Pakkanar, Palakad and Amana culture, Panthirukulam, rock cut temple at Tiruvegapura, rock cut temples in Kerala, rock temples in Thrissur, sastha as buddha, Thutha river, Tirunandikarai rock temple, Tiruvegapura temple, Valluvanad and Buddhism on February 16, 2013 by Ajay.